We are the author of our own lives. We create, re-create, and co-create our stories over the lifetime we have been given in order to make something of ourselves in the process. Blending new findings from brain science and psychology with spiritual and theological insights, Sandra Levy-Achtemeier has written a readable work translating complex scientific and spiritual categories into practical terms that can inform our everyday selves. From our evolutionary roots that equip us to sing meaning into our living, to the cultural menus we now draw from to script new meaning into our days, she has given us an incredible wealth of wisdom to inform the rest of our life journeys. Underneath it all, Levy-Achtemeier makes the case that God's Spirit and call are at the center of our story--from our brain synapses to the historical circumstances that impinge on our lives. ""In The Fiction of our Lives, Sandra Levy-Achtemeier beautifully balances her unique roles and talents as a neuroscientist, psychologist, and Episcopal cleric along with her skills as an excellent and engaging writer to offer a page-turning and compelling reflection on the narrative of our lives. 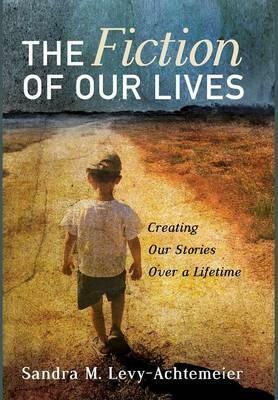 This is a really good book and will be especially of interest for all those who are interested in reflecting on their own lives and stories as they enter their mid to later years. Book clubs will love this one!"" --Thomas G. Plante, Augustin Cardinal Bea, SJ University Professor, Director of the Spirituality and Health Institute, Santa Clara University ""I am part of the silent generation that has memories of World War II. I am not a North American Baby Boomer and have little knowledge of the songs that shaped Sandi's life. Some might therefore say that I lack the credentials to speak with authority on The Fiction of our Lives. But as I face turning eighty, I think I can say I know authenticity when I meet it; I recognize wisdom when it breaks unexpectedly into my life; and I can tell the difference between well and badly crafted books. The Fiction of our Lives pushes all these buttons. So thank you Sandi for including Isobel and me in your journey, and inviting us to share in the birthing of your book. Many others will also thank you for this passionate and skillful outpouring of heart and mind, marks of a genuine scientist and spiritual counselor."" --John de Gruchy, Emeritus Professor, University of Cape Town ""In this affecting blend of memoir, cultural history, and popular science, Sandra Levy-Achtemeier captures the feelings and aspirations of American Baby Boomers, as we move inexorably into our later years. What kinds of stories will we now construct to make sense of our lives? Her book affirms hope and optimism in the face of uncertainty, while offering a profound mediation on the human condition and the unique experiences that define a generation."" --Dan P. McAdams, The Henry Wade Rogers Professor of Psychology, Northwestern University; Author of The Art and Science of Personality Development ""This is Sandra Levy-Achtemeier at the height of her craft -- not only as a writer, but as a wise encourager who invites deep and meaningful reflection on life. Elegantly weaving together insights from such diverse sources as contemporary neuropsychology, hit songs from the 1960s and '70s, and scriptural meditation, she inspires us to mark our life journeys with integrity, faithfulness, and gratitude, to weave lives well-lived."" --Joel B. Green, PhD, Provost, Dean of the School of Theology, Professor of New Testament Interpretation, Fuller Theological Seminary Sandra Levy-Achtemeier is a psychologist, writer, and Theologian-in-Residence at historic St. John's Episcopal Church in Richmond, Virginia. She is the author of Flourishing Life (2012) and Imagination and the Journey of Faith (2008). For more, see her website: www.sandralevy.net.